MANILA, Philippines — “We also would like to thank the Philippines also for its chairmanship achievements under each of the three ASEAN pillars including the finalization of a framework on a Code of Conduct of parties in the South China Sea,” said Singaporean Prime Minister Lee Hsein Loong. Several significant agreements were also signed in the summit, including the ASEAN declaration on the protection and promotion of the rights of migrant workers, which will benefit more than 200,000 Filipinos working in other ASEAN countries. Also agreed upon was the crafting of the code of conduct in the West Philippine Sea which is expected to assuage the tension in the disputed waters. In the program, Get It straight with Daniel Razon, PCOO Assistant Secretary Kris Ablan stressed that the country has benefited a lot from the ASEAN Summit. “ ‘Nakakain ba ang ASEAN?’ Iyan ang tanong sa atin. Hindi nakakain ang ASEAN pero yung produkto ng ASEAN pwedeng makain natin(Can you eat ASEAN? That what they ask us. We cannot eat ASEAN but we can eat the products created by ASEAN),” said Ablan. “Halimbawa sa larangan ng ekonomiya, pag bumibili tayo ng bagay-bagay sa palengke o sa supermarket, di niyo ba na notice na medyo bumaba na ang presyo ng mga produkto na galing sa ibang ASEAN member states? Malaki ang binaba. Hindi po smuggled yun. Dala po yun ng ASEAN kasi nagkaroon po ng agreement ang sampu, yung free trade natin wala pong papatawan ng tax,” said Ablan. The cut down on airfare going to and from ASEAN member states is also a result of the summit. Ablan stressed that, although guaranteed, other benefits from the ASEAN Summit will not be immediately felt. “Hindi niyo nararamdaman overnight (It will not be realized overnight). It takes time pero (but) the way everything is cheaper now, it is the result of a collaboration such as ASEAN,” said the assistant secretary. The government spending for the ASEAN Summit has totaled to more than 15 billion pesos. 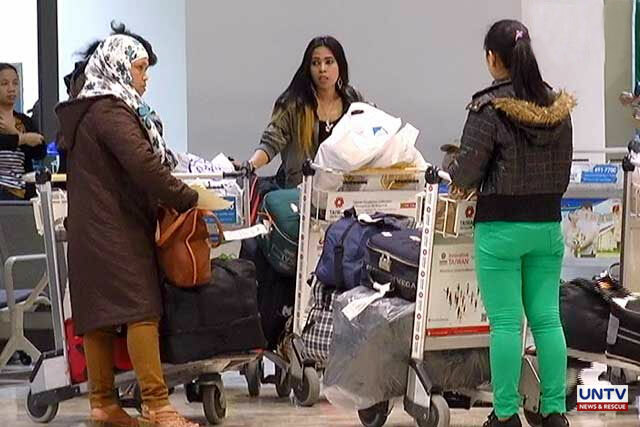 MANILA, Philippines – Migrant workers contributed a huge share in the country’s economy in 2018, according to a recent World Bank report. Based on the World Bank’s April 2019 Migration and Development Brief, the Philippines received $33.8 billion dollars — the fourth biggest remittance from migrant workers in 2018. India received the biggest remittance with $78.6 billion, followed by China with $67.4 billion, and Mexico’s $35.7 billion. The World Bank noted that though remittances in 2018 increased by 3.1%, it was still lower than the 5.4% growth in 2017. This pulled down the Philippines by one notch from its third place in 2017. Nonetheless, the World Bank sees the Japanese government’s new policy to hire foreign workers in the next five years, hiking remittance flows to the Philippines as well as to eight other priority countries, namely Cambodia, China, Indonesia, Mongolia, Myanmar, Nepal, Thailand, and Vietnam. MANILA, PHILIPPINES — The Malacañang shrugs off as “exaggerated” the reports that there are already 617 Chinese vessels circling the Pagasa Island. 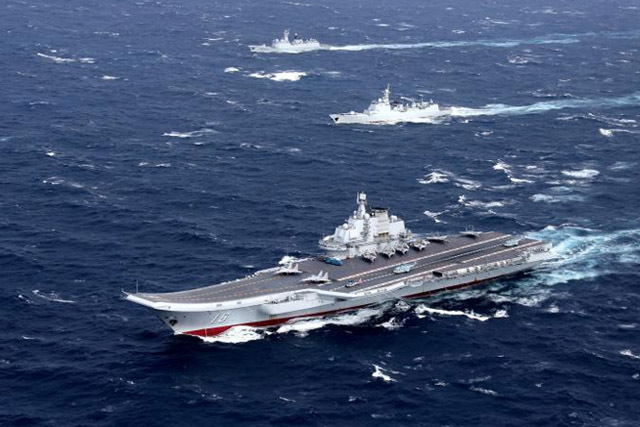 Presidential Spokesperson Salvador Panelo said that according to the report of the Western Command, the number of Chinese vessels spotted in the area from January to March this year is only around 275. “They are just stationary there. Kung minsan one day, kung minsan one week. Wala namang ginagawa, naka-standby lang dun [At times they’re there for a day, sometimes for one week. They’re not doing anything. They’re just on stand by],” Panelo added. Panelo, was quick to add, though, that the Philippines has already filed a diplomatic protest to China on the matter. He also admitted that the report is something that the government should take seriously as this concerns the country’s security. “I understand, we have already issued a diplomatic protest per the Western Command. The DFA has already made a diplomatic protest over that incident on the so-called vessels being stationed there,” Panelo said. Meanwhile, the Bureau of Fisheries and Aquatic Resources has reportedly advised fishermen to steer clear of Panatag Shoal to avoid tension to rise in the area. This, following recent reports of Chinese Coast Guards chasing away Filipino fishermen in the area. Panelo said that if the report was true, the Filipino fishermen must take heed of the advisory. “If it endangers their safety, then we should tell them not to in the meantime, in the meanwhile,” Panelo added. 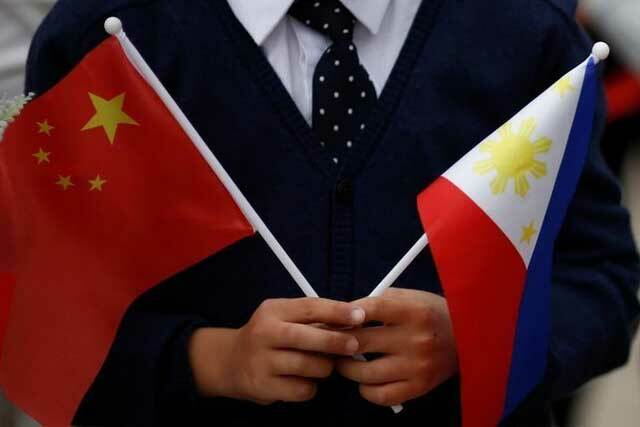 These concerns on the West Philippine Sea were raised during the courtesy call of Chinese Ambassador Zhao Jinhua to Secretary Panelo in Malacañang on Monday afternoon (April 1). The Palace official maintains that the government is on top of the issue.